Clearing clutter can have many positive effects; decluttering can reduce stress and improve your quality of life — but did you ever consider decluttering could be good for your wallet? Today I want to share with you how I began to declutter and sell unwanted stuff on eBay, making thousands of dollars each month! Read on to find out how you can start making money on eBay. 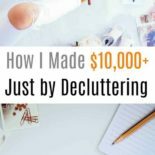 I got my start decluttering and selling after a conversation with my neighbor. We were chatting outside, and I was enthusiastically telling her about my discovery of Marie Kondo’s The Life-Changing Magic of Tidying Up: The Japanese Art of Decluttering and Organizing. I was trying to figure out what I wanted to do with all the STUFF I would need to get rid of. Well, her suggestion just about gave me a heart attack! 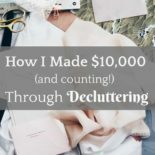 Ready to start decluttering and making money? Sign up to get access to your free printable KonMari checklist! How much can you make on eBay? My neighbor casually mentioned to me that she had made over 30k on eBay! After her two children went off to college, she started decluttering to sell her house and slowly kept selling her clutter, making bank. I knew right then and there I was going to start making money on eBay by converting my unwanted stuff into cold, hard cash. I went on to make $400-$1200 per month just by selling stuff I didn’t want anymore! So far I am up to $15,000…and still counting. Not only is it a great way to make cash, but it’s also become quite fun too…almost like a game: how much money can I make from this? The buyers of eBay continually surprise me. If you are anything like me, you have loads of stuff just sitting around, unused. In fact, according to the LA Times, the Average American home contains 300,000 items. That’s a lot of potential $$$ sitting around, collecting dust. Do people really want my stuff on eBay? You bet they do! From vacuum cleaner parts to vintage athletic goods, if you have it I can almost guarantee that someone wants it. 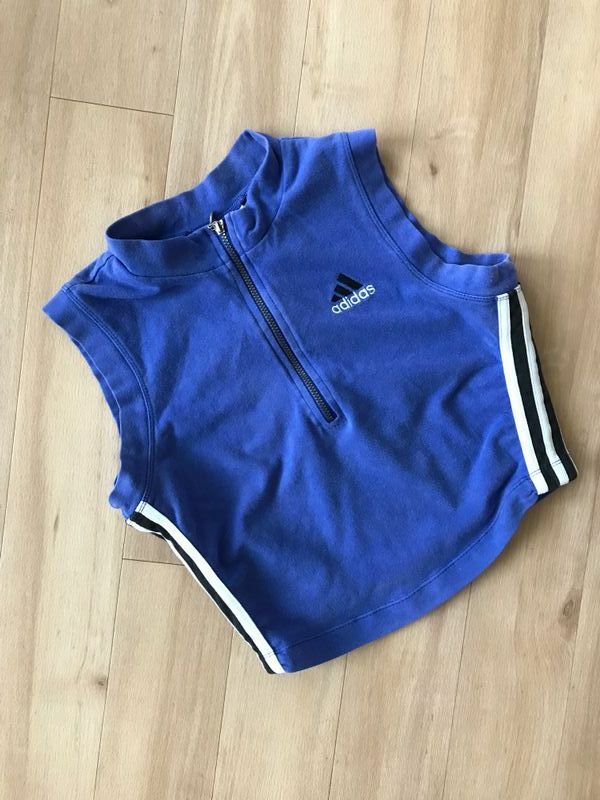 I had an old vintage Adidas crop top that I bought from Goodwill in the ’90s. I hadn’t worn it in years but knew that crop tops were having a hot moment. So I decided to list it on eBay. That crop top got 25 bids and sold for $24!!! I couldn’t believe it. That was BY FAR the most bids I ever got on one item. For something that I bought for $0.50 decades ago! 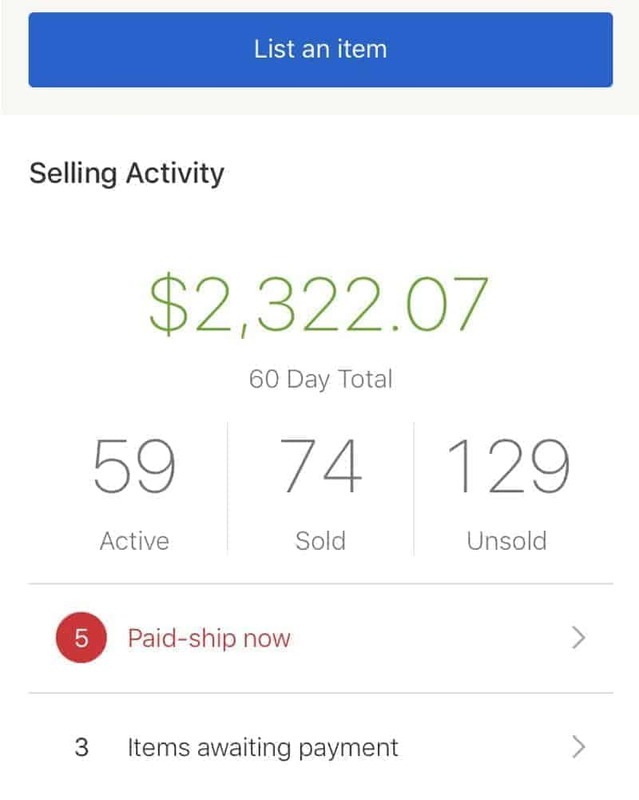 I didn’t start out making $1,000 right away…getting used to eBay took some time, and I wasn’t putting a lot of effort in at first. But even in the beginning when I was putting in only 1-2 hours per week, I still was able to make $400-$600 each month. When I decided to open my own store and increase the time I spent listing and selling items, my money doubled to $1,000-$1,200 per month! Now I want to teach YOU how to make money on eBay! It’s too much information for one post, so I have divided it into two parts. Part I is going to teach you everything you need to know about setting up your eBay account and figuring out how to ship your item (the HARDEST part of selling on eBay) for the lowest price possible, so you pocket more profits. Yes, Derra! You will get addicted, it’s like a treasure hunt in your own house! Marissa I just had a garage sale and almost nothing sold, in fact, I had to give some of it away. But I know there must be a market for all my junk somewhere. I am going to have to give this a shot. Mary, a great thing to do would be to go to eBay and check the “completed listings” for “sold” for items just like the ones that you are trying to sell. Then you can decide if the price is worth your time or not! That is one smart idea, thanks Marissa! Yay! You sure are planning ahead! Good job, planners = winners! Thia is a great article! My hubby has used ebay for years to sell the things he no longer wants or needs. You wxplained things so well and I am sure many people will use your post to guide them towards ebay selling!! I hope so Cindy, it sure feels good to get rid of stuff and make a little cash at the same time! This is seriously awesome! I love hearing about people who are making money like this online! I soooo badly want to give it a try! I’ve done Ebay in the past and one can make money, but the pictures and description are really important. Absolutely! Just like Pinterest, if the image isn’t pretty NO ONE is going to look!